Add the oil, vanilla and cornflour beat well. Add enough flour to make a firm dough. Roll into a round disc and refrigerate for 30 minutes, remove from fridge and roll out into 5mm thickness & cut into squares. Place onto a baking tray. Melt white and dark chocolate in 2 separate glass, heatproof bowls over hot water, do not let steam touch chocolate as it will seize, do not let the water boil. 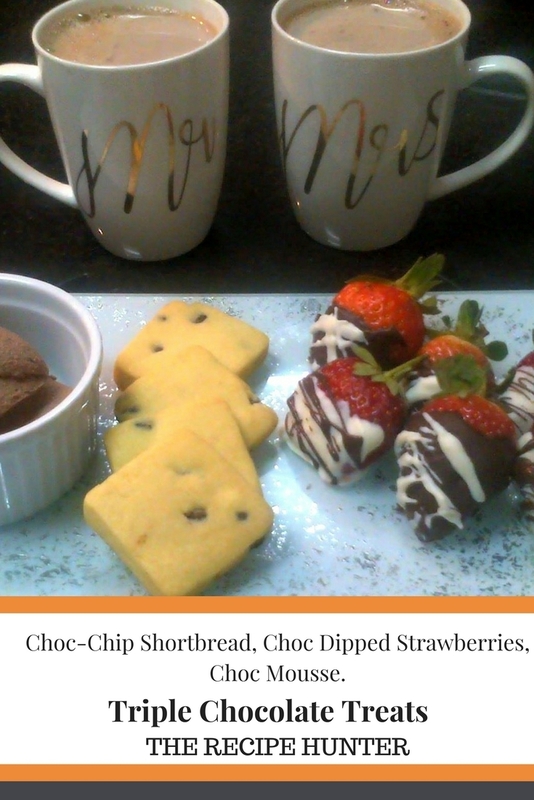 Dip in white chocolate, let it set over greaseproof paper then drizzle over dark chocolate. In a saucepan, heat 2 tablespoons (30 g) cream together with the chocolate, stirring constantly. When the cream heats up and almost starts bubbling, turn off the heat and continue stirring until the cream and chocolate are mixed well. The residual heat helps to dissolve the chocolate. Turn on the heat for a moment if the chocolate is still not melted entirely. Transfer the chocolate to a bowl. You will mix chocolate and whipped cream in this bowl later, so pick a big enough bowl. Let the chocolate cool down to room temperature. Do not put in the fridge, since this will firm up the chocolate too much. It should still be soft and kind of liquid. The peaks should be in between soft and firm (do not overwhip). Add about half of the whipped cream to the bowl with the melted and cooled chocolate. Using a spatula, fold/stir in the whipped cream. When combined well, add the second half of the whipped cream. Gently fold it in, trying to remain its volume. Pour the chocolate mousse into ramekins, glasses, or jars and put them in the fridge for at least 2 hours. These look delicious! I love chocolate dipped strawberries!